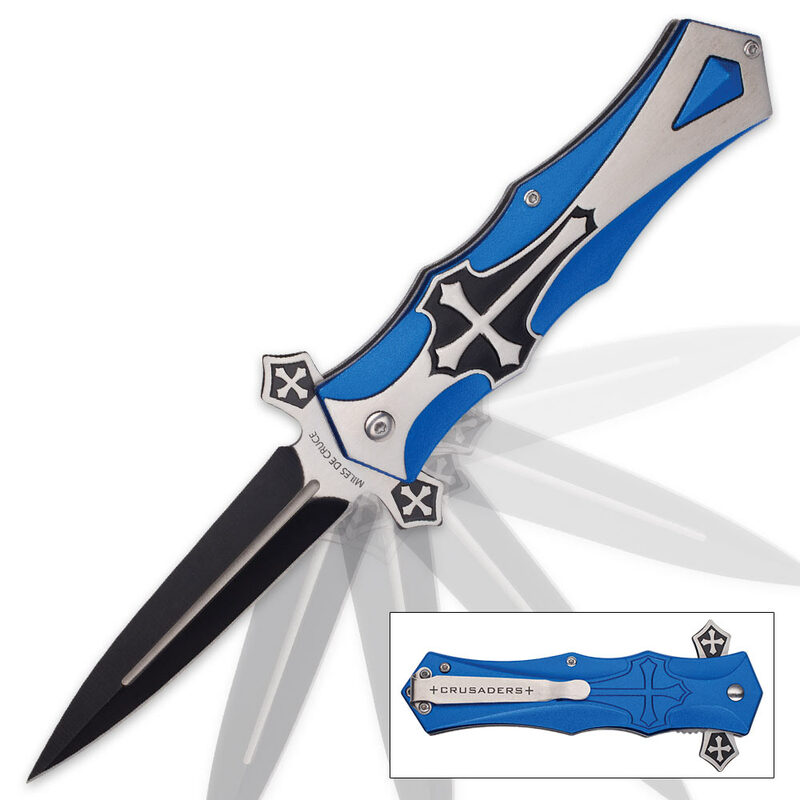 Crusaders Aluminum Assisted Opening Stiletto Pocket Knife - Blue | BUDK.com - Knives & Swords At The Lowest Prices! 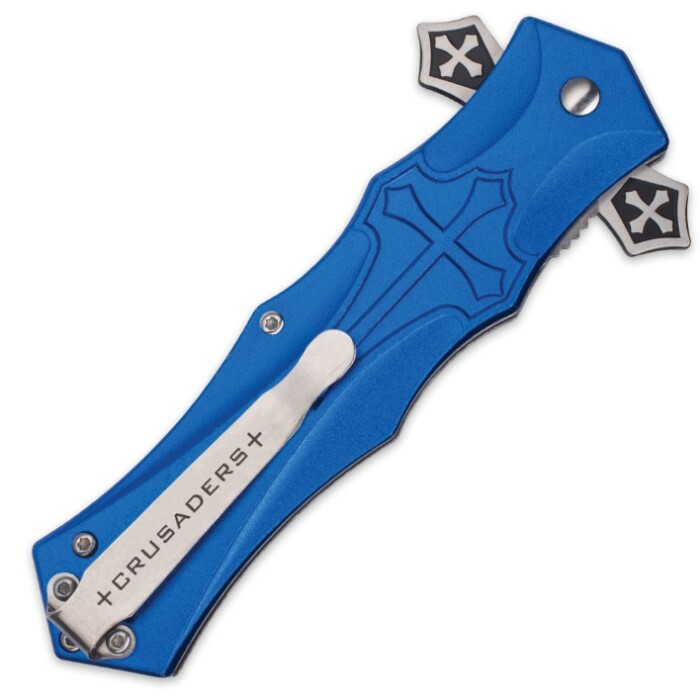 The Crusaders Aluminum Assisted Opening Pocket Knife has a distinct look that has both medieval and gothic appeal. It features a 4” two-tone stainless steel blade and is assisted opening for easy deployment. 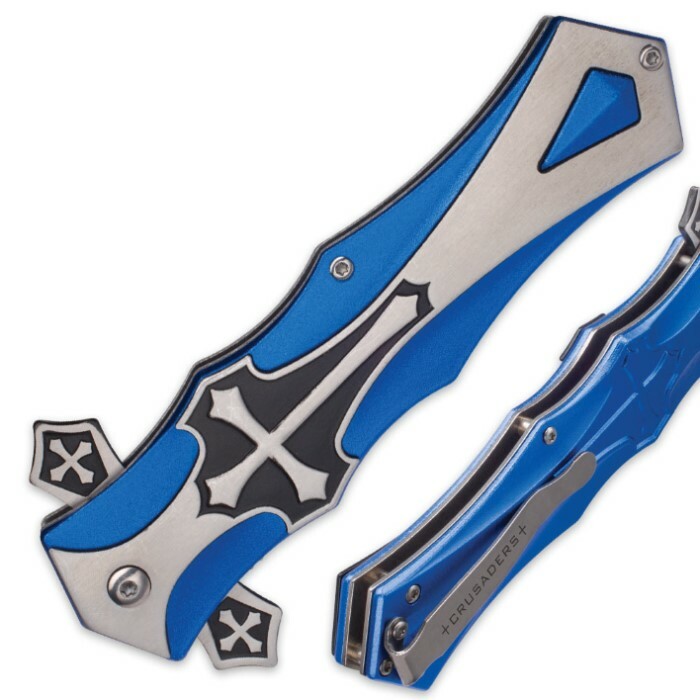 The aluminum handle features a cross medallion set on a blue background. It has a pocket clip for convenient carry.